Earlier today, Empty the Bench listed out the top unrestricted free agents available starting tomorrow and as always, did a fantastic job. They started with the top 12 and then threw together another quick list of the rest. Definitely go check it out. Who should Portland look at? 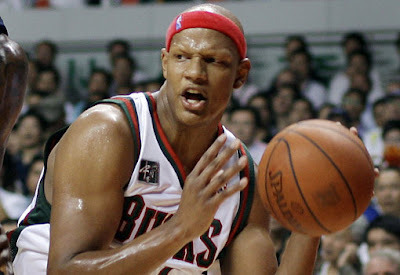 Charlie Villanueva (F, 24 years old) - He's young, athletic, and definitely skilled. Would essentially make the perfect backup for LaMarcus Aldridge. Although he may lack the toughness this team needs, he'd definitely be an upgrade from Channing Frye or Ruffin. Andre Miller (PG, 33 years old) - While he may be 33 years old, he can still play. This is a guy that's productivity has never slowed and had one of his best seasons just this past year. Who knows how much he has left in the tank, but this is the physical guard many have been praying for. Hedo Turkoglu (SF, 30 years old) - I'm not sold on Hedo as a part of the Blazers, but he has to be considered. He's a hell of an upgrade over Travis Outlaw but there are questions as to how he'll produce down the stretch with the ball OUT of his hands. Is he really worth the price? Mehmet Okur (F/C, 30 years old) - Why hasn't his name been brought up at all? The guy can rebound and shoot the rock with the best of 'em. I know he is technically a center, but if you drop him down to a straight PF or use him if Oden and Joel are in foul trouble, the Blazers would be the deepest big man team on the planet. I'm guessing he'll want to start somewhere, but the competition with Aldridge would likely make both players better. Brandon Bass (PF, 24 years old) - A true lifetime backup, Bass would also be an upgrade from Channing Frye. He may not shoot the ball as nicely, but he's a hell of a lot more consistent and physical. He'd likely come at a bargain price too and by joining the Blazers would also break up the Blazer-killing combo of Bass and JJ Barea. Chris Andersen (F/C, 30 years old) - Sure we all hate him, but I'm guessing Nuggets fans hated him when he wasn't with them as well. The guy has more heart than 95% of the league when he's on the court and might bring a little swagger back to this young team. He seems to have cleaned his act up and also doesn't seem to be a cancer to locker rooms. Still questions surround his personal life. Who shouldn't they look at? Jason Kidd. He's too damn old and expensive people. Chris Andersen is a great player and he'd bring a lot to the team - but a guy with his substance abuse issues in portland, he'd be like a kid in a candy shop with all the chemicals in this town!